LEAGOO has launched yet another device called LEAGOO S8. In terms of design, the Leagoo S8 looks much like Samsung Galaxy S8. The smartphone features a 5.7-inche FullView 18:9 aspect ratio display. There's a rear-mounted fingerprint sensor placed below the camera lens. The rear camera has a dual 13MP + 2MP shooter with flash light and the front camera has an 8MP + 2MP shooter with flash light too. LEAGOO S8 is 4G LTE enabled, runs on stock Android 7 Nougat which is powered by Mediatek MTK6750T chipset, a 2940mh battery with QuickCharge 1.0. 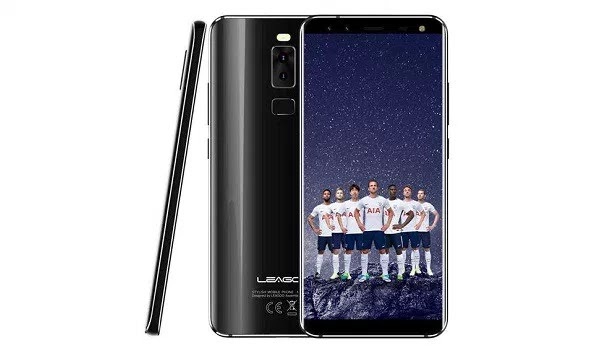 Below is the full details and price of Leagoo S8 smartphone. Colours: Dazzle Black. Dazzle Blue. Smartphone Price: $170 / NGN66,000. Phone makers don't too plenty o, which one be Leagoo again lol.